PALMDALE, Calif., March 19, 2013 -- Northrop Grumman Corporation (NYSE:NOC) marked the delivery of its 100 th F-35 Lightning II center fuselage to Lockheed Martin during a ceremony at its manufacturing center on March 8. 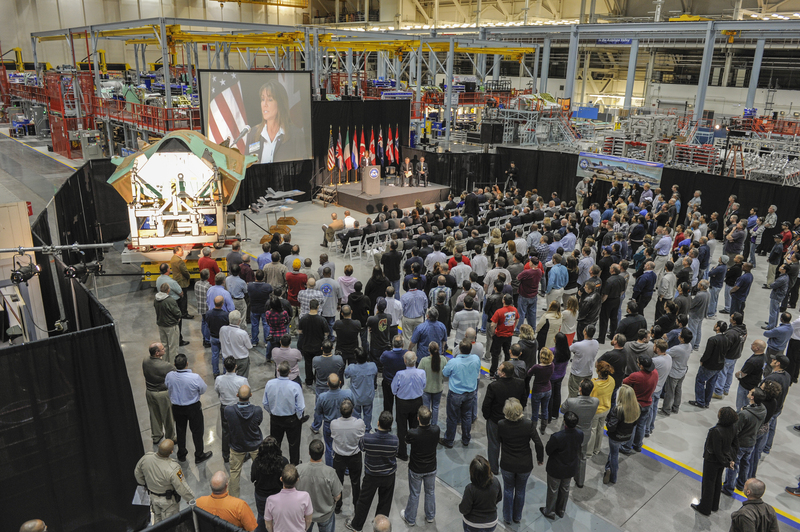 "The F-35 team should be very proud of all its hard work in reaching this milestone," said Michelle Scarpella, vice president of the F-35 program for Northrop Grumman. "All employees, suppliers and teammates focused on executing their work, always with an eye on quality and affordability. It's the reason we're able to stand here today and say that we've delivered on schedule and on budget, and that we're operating as planned." This center fuselage will be integrated into the 100th aircraft, a conventional takeoff and landing variant of the F-35, and will be designated AF-41. 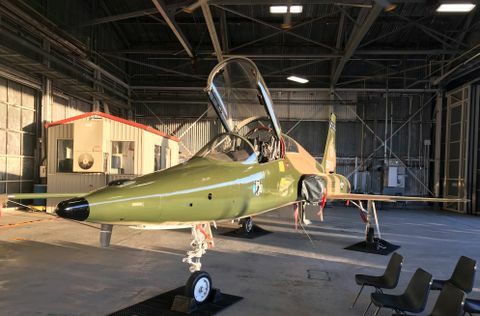 The jet will be delivered to the U.S. Air Force and is slated for pilot training at Luke Air Force Base, Ariz.
Northrop Grumman began production on the AF-41 center fuselage in March 2012 and completed work on Feb. 26. 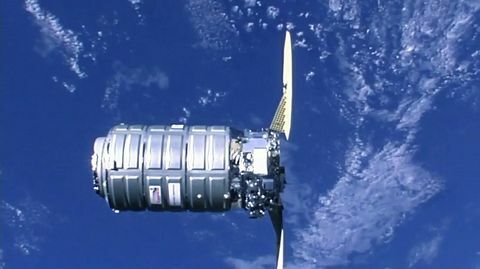 It was shipped to Lockheed Martin on March 5. Northrop Grumman has been producing F-35 center fuselages since May 2004. 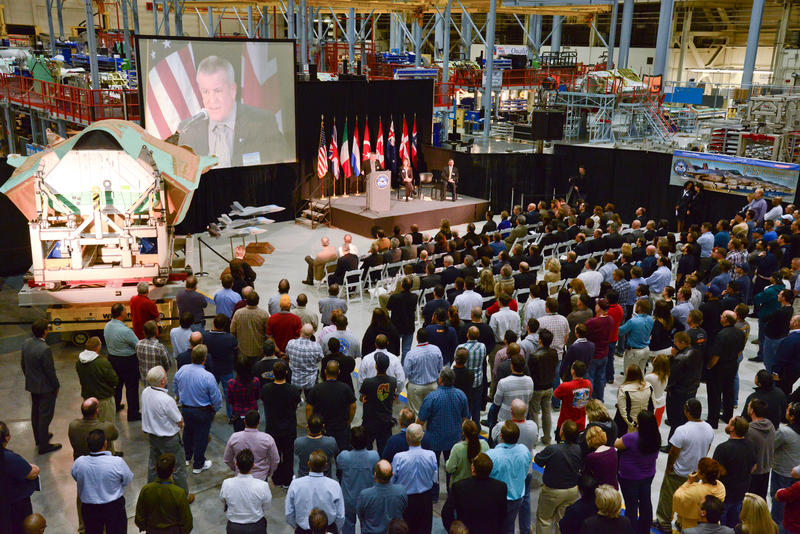 "In 2011, we celebrated the delivery of the 50th center fuselage," said Scarpella. "It took us a little over seven years to reach that milestone. Now, about a year and a half later, we're delivering our 100th. The speed at which we reached this milestone is a testament to the commitment of our team and the efficiencies of our Integrated Assembly Line [IAL]." The IAL maximizes robotics and automation, providing additional capacity and assembly capability while meeting engineering tolerances that are not easily achieved using manual methods. The IAL is central in producing the F-35's center fuselage as well as increasing the program's affordability, quality and efficiency. The IAL design uses a system-engineering approach to integrate tooling and structure transport, system automation, automated drilling cells and tooling mechanization coordinated across multiple build centers. The IAL was developed and designed with the help of the Detroit-based KUKAÂ Systems Aerospace Division, a commercial automation integrator, and was inspired by automation systems used by American automakers. As a principal member of the Lockheed Martin-led F-35 industry team, Northrop Grumman performs a significant share of the work required to develop and produce the aircraft. In addition to producing the F-35 center fuselage, Northrop Grumman designed and produces the aircraft's radar and other key avionics including electro-optical and communications subsystems; develops mission systems and mission-planning software; leads the team's development of pilot and maintenance training system courseware; and manages the team's use, support and maintenance of low-observable technologies. In 2012, the company delivered 32 center fuselages and is on track to exceed 2012 delivery quantities in 2013.